Students new to Heartbeat will be evaluated during their first few weeks to see if they are in the correct level to move forward for the remainder of the current session. Students deemed to be in the wrong skill level will be moved immediately to a more challenging, or less challenging level. Teachers at Heartbeat continually evaluate their students and may make recommendation that a student showing marked improvement be moved to the next level mid-session. 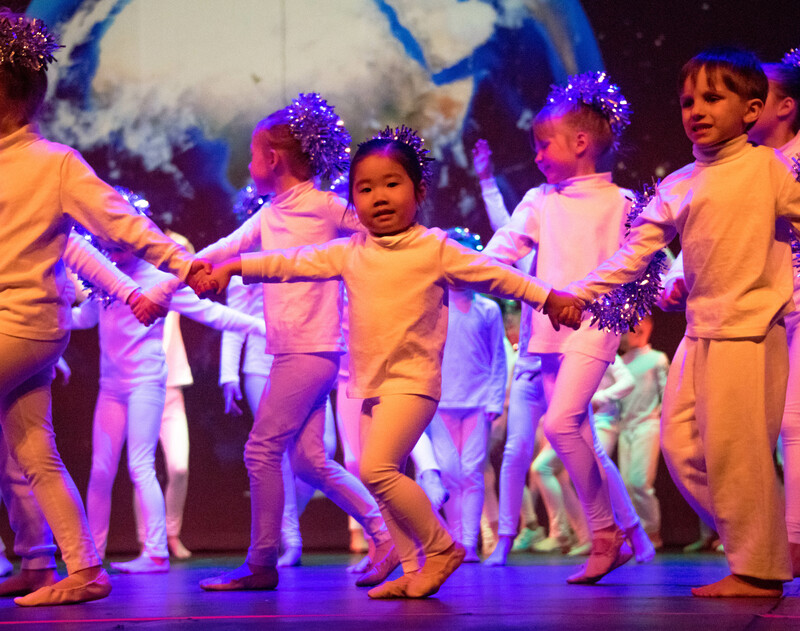 The biggest factor in a student’s successful development in the performing arts can be summed up in four words: Attendance, commitment, focus and practice. 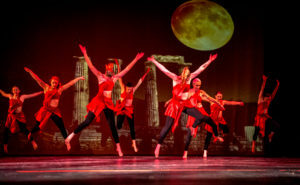 Beginning level classes in any dance discipline cover basic technique and vocabulary and are structured for the absolute beginner. Classes are taught to clearly instruct students on correct body alignment, build muscular strength and flexibility and to teach basic dance patterns rooted within the specific discipline. Beginning/intermediate level classes in any discipline re-enforce basic technique, alignment and vocabulary as well as challenge students’ minds and bodies with more complex patterns, multiple turns, developing leaps and faster foot work. This level is the transition to the true intermediate level. Intermediate level classes in any discipline are for students accomplished in basic technique, alignment and vocabulary, and are capable of handling challenging complex patterns, multiple turns, leaps and fast foot work. Intermediate classes are taught at a much faster pace for the student preparing to move to the next level. Intermediate level students are not only expected to accurately execute basic technique, they must also have a comfort level giving emotion to their motion. Intermediate/advance level classes in any discipline are for the intermediate level students ready for challenging choreography, physical endurance and flexibility. These classes are taught at a fast and demanding pace. Instructors may demonstrate dance patterns only once or twice for the students and will move on quickly to the next pattern. Students are expected to automatically perform technically correct with emotion from their core. This level is the transition to the true advance level. Advance level classes of any discipline are for accomplished dancers who are ready for the ultimate challenge of tackling professional level choreography, physical endurance and flexibility. Instructors will move on quickly from one pattern to the next. Students in this level have distinct comfort conveying a range of emotions while performing. 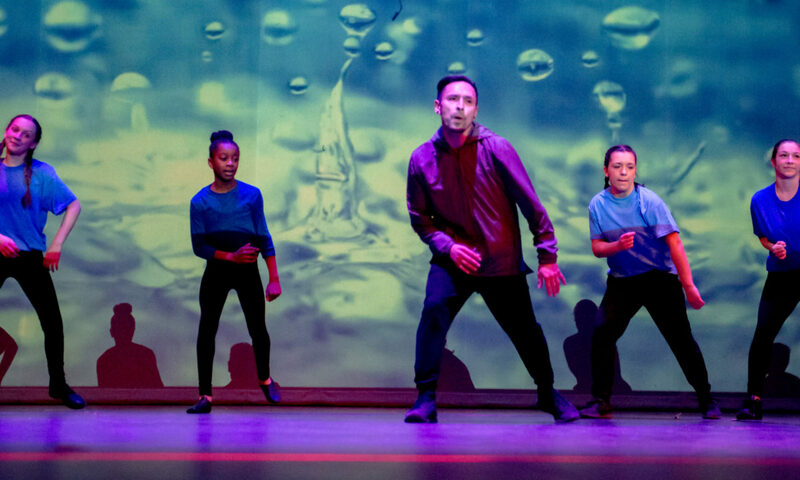 They are capable of experimenting creating their own voice in dance and may pursue dance in college or professional careers including dance instruction. Child Music/Choir (age 3-7): Introduction to simple rhythms and popular children’s songs. Students explore singing as a group and learning body movement to accentuate the lyrics. Youth Choir (age 8-10): Students are introduced to sight-reading vocal sheet music, and learn popular children’s seasonal and world music that is more complex than in the child level. Vocal exercises to match and control pitch, volume and rhythm while singing in a group are added to curriculum. Students sing in canons as preparation for part-singing. Junior Choir (age 11-13): Students begin to sing 2 and 3-part songs, covering a wide range of musical genres. More complex songs are introduced, as well as singing in multiple languages. Evident vocal control is expected of the individuals and the group, as they learn to blend their voices into a unified sound. Sr. Choir (age mature 13-18): Students are expected to handle multiple part music, and harmonize with comfort and accuracy. More complex selections of music are studied, as students explore notable composers and choral literature. Heart & Soul Choir Company (age 11-18 by audition): This is Heartbeat’s touring choir, and its members must audition to be part of the group. Multiple part music selections – some as intricate at eight-part songs, are performed. This choir learns collegiate-level music, and members are expected to rise to meet that challenge. Students must have a comfort level and skill to perform as trios, duets or soloists. Youth Acting (age 8-10): Students are introduced to theater terminology, improvisation, physicality and character development. Theater exercises develop emotion in vocal tone and volume, as well as physical characteristics, in a group or solo scene work. In play productions, all students are given a small number of lines to memorize. Students’ play production work will focus on expanding their character’s physicality, diction as well as confidence in speaking volume and emotional tone. Junior/Teen Beginning Acting (age 11-18): Students work expanding theater terminology, improvisation, physicality and vocal work. Theater exercises develop ways to make their performance more natural and spontaneous. Students will work with ensemble building games, themes in comedy and tragedy, and begin character development. In play productions, all students are given similar number of lines to memorize. We recommend students take this class more than one session to prepare for more advanced acting company levels. Junior Acting Company Level (age 10-13 placed by audition): Building on all the skills students have already learned, students learn how to create characters that are at home in different theatrical elements. They not only work with diverse theatrical styles but also must be able to take risks out of comfort zones to explore and expand their range as actors. Small group scene work will be done in class projects, as well as a wide variety of exercises and theatre games. These company actors will audition for lead roles for each production. Senior Acting Company Level (age 13-18 placed by audition): Students are expected to have a full understanding and command of theater terminology, improvisation, physicality and vocal work, as well as take risks in every class to expand their range as actors. Students are expected to create a character study for all roles and to give constructive feedback on each other’s performances in classroom projects. Students will develop a deeper understanding with their character’s unique traits, mannerisms and arc. Monologues and scene work are done in class, as well as a wide variety of exercises and theatre games. These company actors will audition for lead roles for each production.